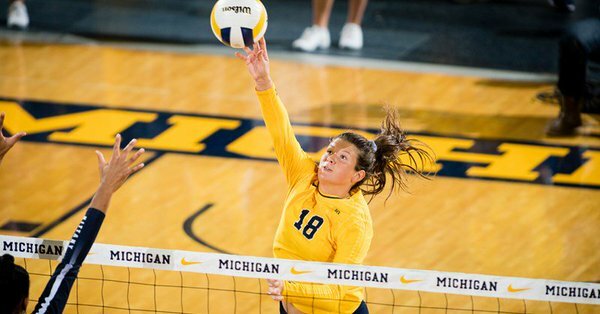 Michigan’s Paige Jones, Carly Skjodt and MacKenzi Welsh, Nebraska’s Mikaela Foecke and Lauren Stivrins, and Penn State’s Kendall White earn Big Ten weekly honors. Kendall White has earned her second @B1GVolleyball Defensive Player of the Week honor for averaging 5.3 digs per set over the weekend and was perfect in 58 passing attempts. She also got a new single season career-high with 503 digs so far!